How precious are the young people who come to our church with their families! 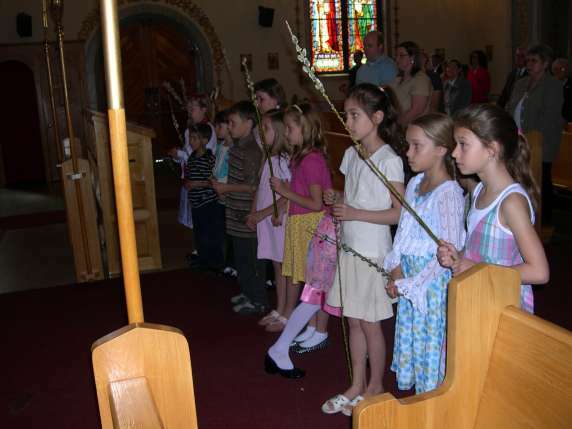 At St. George parish, children participate in special Sunday or feast day processions, adorn festal icons with flowers and ring bells. Boys who have celebrated Solemn Holy communion are invited to serve as Altar Servers. On Sundays, preschoolers are invited to join the "Little Angels" Programme, which takes place downstairs during the Readings and Homily. Every Friday evening from September to June, a Religious Heritage Programme for children (ages 7-12) is offered. 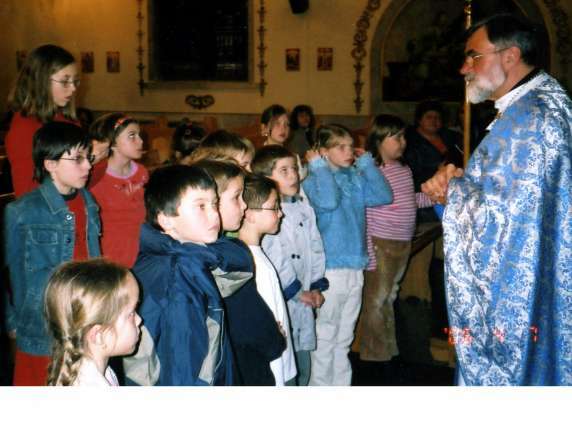 The programme consists of short educational sessions in the church with the pastor (parents are invited), followed by classes downstairs (including preparation for Solemn Holy Communion as well as classes for older children), and various enriching activities such as hymn singing, religious crafts, icon-making, dramatizations and story-telling. Every year, the children prepare a play which is presented at the St. Nicholas Concert in December. 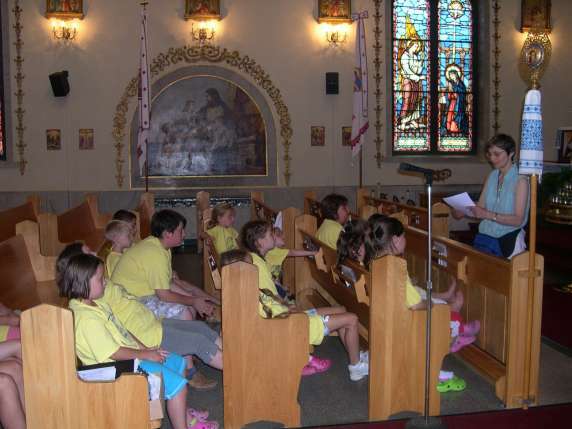 In addition, children present a "mini-vertep" at the parish kutia and entertain parishioners with joyful spring songs at Easter.